When it comes to desserts, pies are not at the top of my list, but show me an apple pie and I can’t resist. The problem with making an entire pie when there are just two of us in the house is we don’t want to finish it. So we pitch it or give away the leftovers. So when I saw a video posted by Ella Marincus for Nectarine Roses, I thought how pretty, and delicious these looked. Plus they were individual servings! However, since it’s apple season I decided to recreate the recipe with apples. Apples were a bit trickier since they’re not as pliable as nectarines. 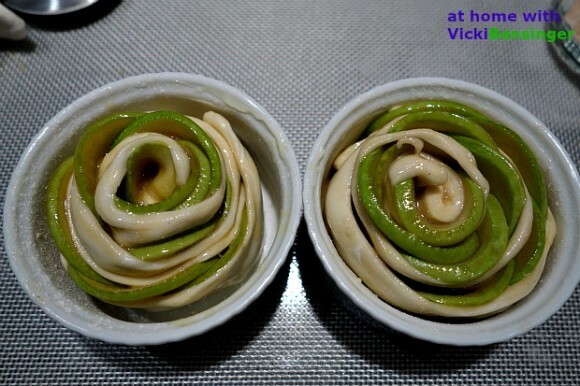 Using my microwave though, I was able to recreate what I call an Apple Pie Rose. 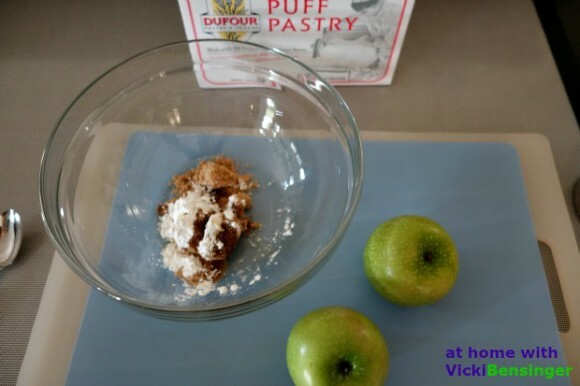 I used the same premise of creating the puff pastry roses, but instead of using just cinnamon sugar for the flavoring, as in Ella’s recipe, I blended several other ingredients together to mimic apple pie. The result was magic! 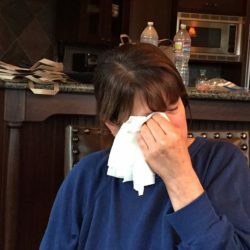 In fact, the aroma that filled our house truly felt like fall was in the air. Once these little roses were out of the oven I could barely contain myself until they cooled down. Once I was able to remove them from the ramekins I took my first bite – “OH MY” it was heavenly! 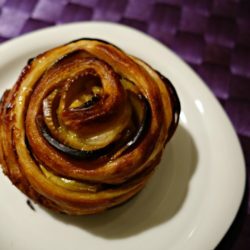 I didn’t feel a bit guilty about eating the entire rose. It was just enough to satisfy my sweet tooth, while not being too sweet or too filling. 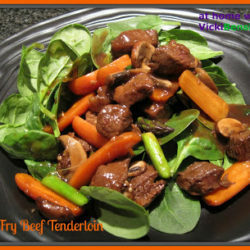 I can’t wait to make these again, and I know you’re going to love them! 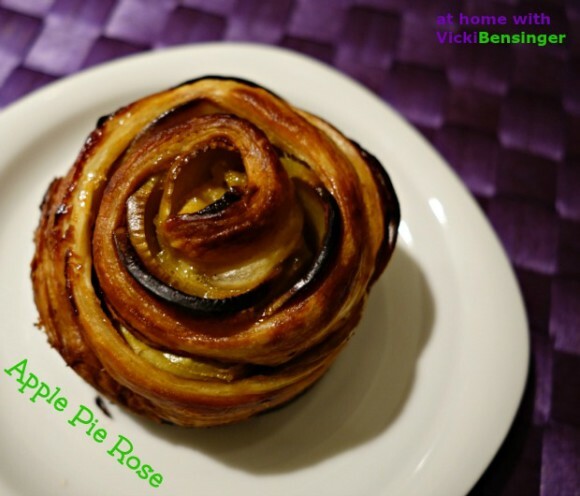 Below is my recipe for Apple Pie Roses with step by step photos. At the bottom of the recipe is the link to Ella’s video, showing you just how easy these are to create. 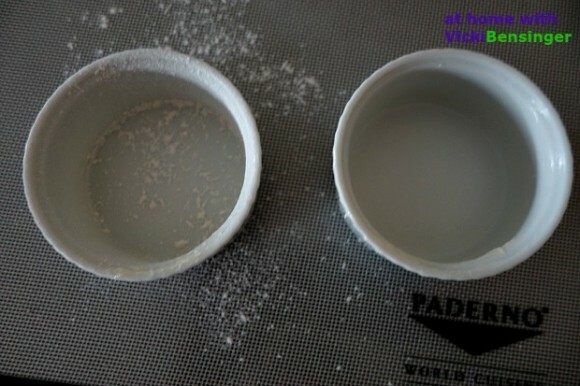 In a medium size microwavable bowl combine, brown sugar, cornstarch, and vanilla. Core apples. Cut in 1/2 @ stem end. Lay cut sides down onto cutting board and slice into thin pieces. Add apples to brown sugar mixture. 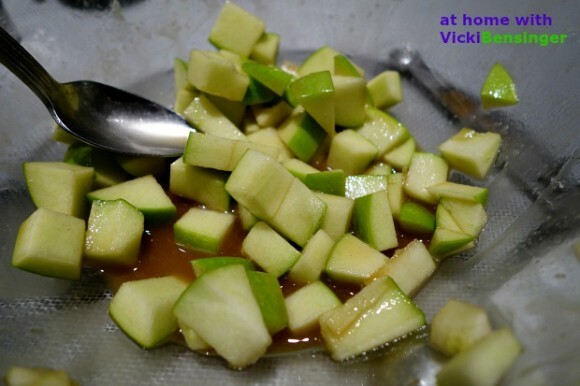 Squeeze lemon juice over apples (to keep from turning brown), then stir to combine. 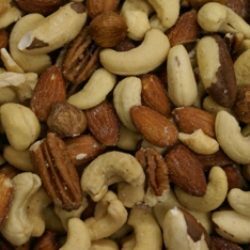 Set aside until mixture becomes liquid. About 10 minutes. Grease 6-8 (3.5 inch/3/4 cup) ramekins with butter and dust with flour to keep roses from sticking. You can also use muffin tins. 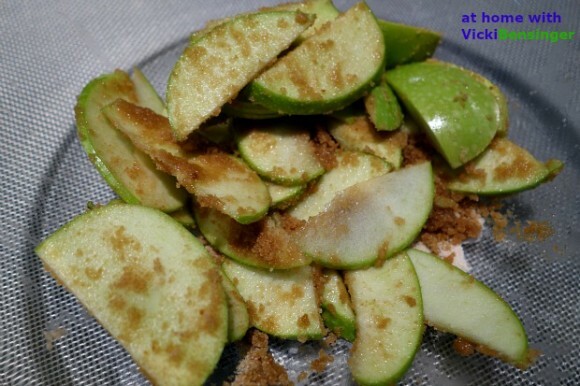 If apples have oozed their juices and brown sugar mixture is a thick liquid place bowl in the microwave for 30 seconds. Stir and check to see if apple slices are pliable. If not, place back for another 15 - 30 seconds. Once pliable, remove and allow to cool slightly for handling. (Photo below is what juices should look like. Apples will be sliced thin not in cubes as shown). 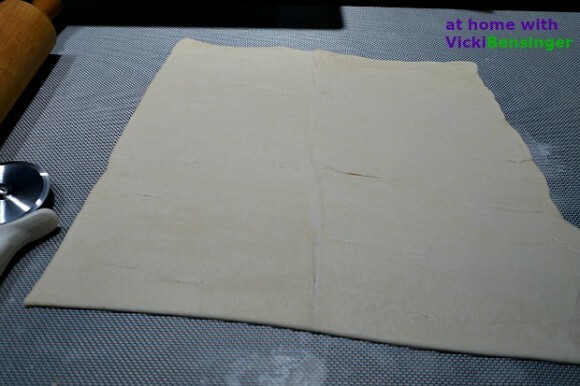 On a floured surface roll the pastry into a 10 X 15 inch rectangle. 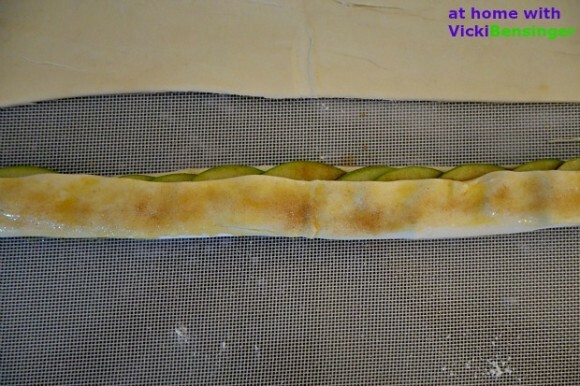 Cut the dough into 8 equal strips, each of about 2x10 inches (5 cm x 25 cm). Working with 1 strip of dough at a time, brush side facing up with egg. 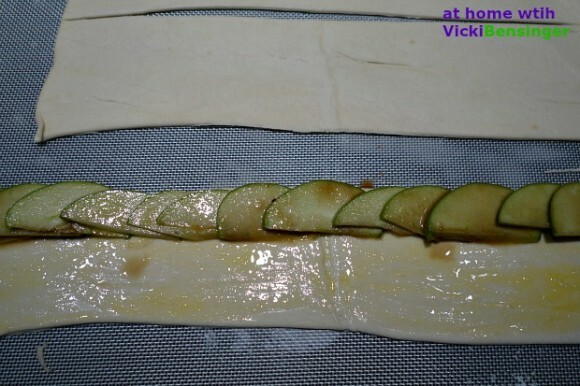 Arrange one row of apple slices, overlapping, across the top edge of each strip of dough. (My strip was a bit wide so I narrowed it prior to folding). 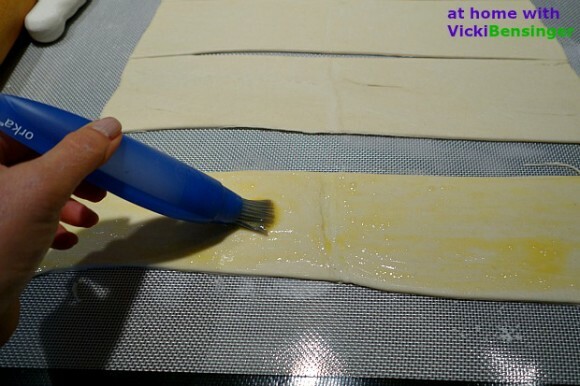 Fold up the bottom part of the dough over the apple slices, but not quite covering them, and brush with egg. Sprinkle with the cinnamon sugar mixture. Roll gently holding apples in place, jellyroll style, and place into the prepared ramekins. Bake for 45 minutes until puffed and golden. Remove from the oven and let rest in the ramekins for 10 minutes before removing. Transfer to cooling rack. Serve warm. If desired, sprinkle with powdered sugar, or drizzle with a caramel topping. Enjoy. So fun Vickie! It looks like a little piece of art work! I love the individual size servings too! Thanks Chris. I love the individual servings as well. Certainly makes for keeping the figure streamlined and not going out of control with a huge slice of pie. They are John. If you try them please let me know what you and Mrs. Kitchen Riffs think. Anyone who gets one of these would feel very spoiled. They’re beautiful! I can never pass up apple pie. I agree. I’m glad you like them. 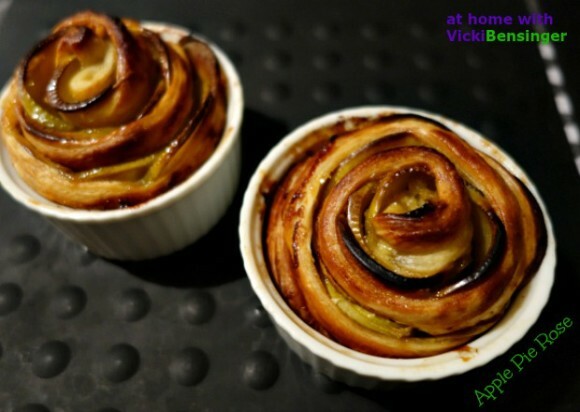 Oh my goodness Vicki, these apple pie roses are stunning, show stoppers!!!! great step by steps…. Thank you Cheri. I hope the steps help. It’s so easy to make, and delicious. Plus the roses are beautiful! Easy peasy and STUNNING! I need one for my afternoon tea. These would be perfect with tea. I hope you’ll try them. Your roses are gorgeous, Vicki! And I bet they taste amazing, too!!! Thanks Liz.I hope you’ll try these. What a gorgeous way to use fall golden fruit!! Thanks MJ I hope you’ll try these, they’re delicious! Wow! 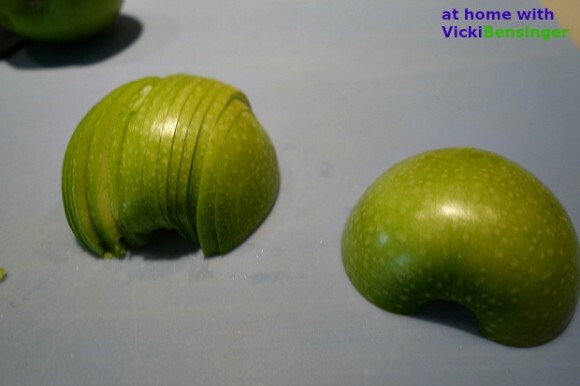 You’re so skilled, Vicki! Looks like I’m going to have a lot of fun making these this weekend! I’m super excited!! 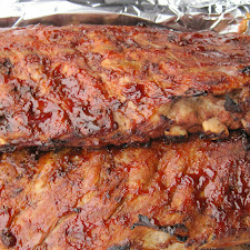 you are so right too pretty to eat you have the most creative talent and patience… love it! So pretty, Vicki. It’s wonderful when delicious meets beautiful. Lovely recipe! Thanks Susan. These really were almost too pretty to eat but the aroma got the best of me, and everyone else in my house!